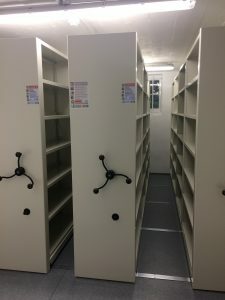 Following a summer of building works, the library at the AIIT has a new basement book store, complete with new rolling bookstacks, providing over 120 linear metres of much needed archival storage space. The conversion of our former laundry room into a purpose-built collections store also included the removal of our behemoth of a boiler and the installation of a new efficient heating system for the trust. 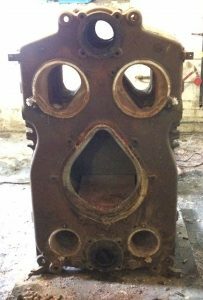 The old boiler expires with rather a Munchian expression! We would like to thank our visitors over the summer and particularly our regular readers and visiting scholars for their patience and flexible working arrangements whilst the building works took place!